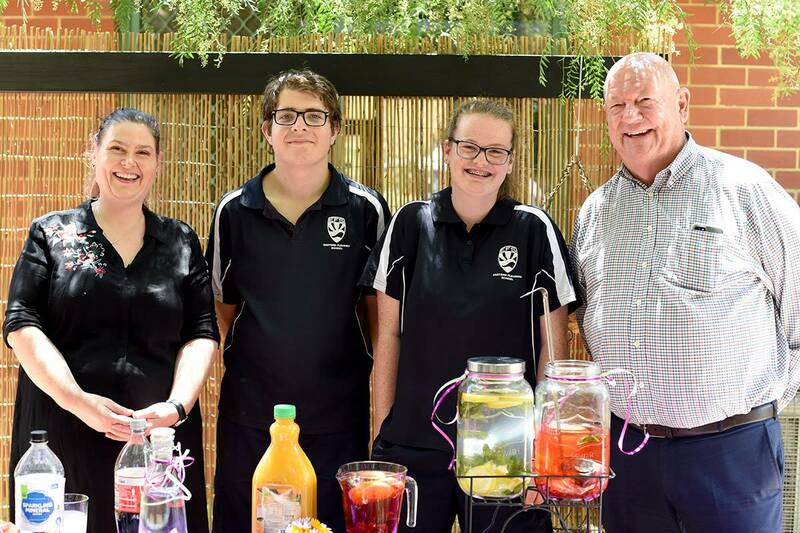 Eastern Fleurieu R-12 School is a multi-campus Reception to Year 12 school, located south-east of Adelaide, in the heart of the richest agricultural precinct and tourism destination of the Fleurieu Peninsula. Our name comes from the Fleurieu Peninsula, named by French explorer Nicholas Baudin in 1802. The school was established in 1996, following a review of educational provision in this area. The new school emerged as a result of an amalgamation of five existing schools in Strathalbyn, Langhorne Creek, Milang and Ashbourne. While the particular history and identity of each campus have been maintained, we moved to adopt a stronger whole school approach through building on the capacity of staff, students, parents and wider communities to create synergies in providing outstanding educational options and outcomes for all our students. Strathalbyn is a picturesque and growing town about 50kms from the state capital of Adelaide. Langhorne Creek is 15kms east of Strathalbyn in an area dominated by beautiful vineyards in one of Australia’s oldest wine-making districts. Milang is 20kms south of Strathalbyn on the shores of Lake Alexandrina, which is an important part of the River Murray system. Ashbourne is situated 15kms to the west of Strathalbyn in an area where towering eucalyptus trees and other native vegetation are prominent. Our school’s values of: Integrity, Respect, Responsibility, Care and Compassion, Participation and Cooperation underpin the behaviours that are positively promoted and explicitly taught at Eastern Fleurieu R-12 School. We trust you and your children will enjoy your experiences at Eastern Fleurieu School and we genuinely welcome your feedback. Wishing our school community a wonderful holiday break. See you all when school returns on Monday 29th April. In addition to the teacher feedback accessible on Daymap, we will be publishing a mid-semester interim report indicating your child’s progress in each subject. Please ensure you can access Daymap to locate this document which will be available on Friday. If you would like to discuss your child’s progress, you will have the opportunity attend a Student Progress Conversation (formally Parent/ teacher interviews) early in Term 2 (details to come soon). We look forward to seeing you. Milang Campus - Friday the 5th of April, opening at 9.40am. compete for Bremer, Angas and Finniss. Reminder for those who haven't already booked, please use SZapp or website to book your time. Online bookings close this Sunday night (March 24th) but appointments can still be made next week through the class teacher. If you have any questions regarding your bookings, please phone the campus on 8536 2344. Today we recognise Harmony Day! Harmony Day is about inclusiveness, respect and a sense of belonging for everyone. Harmony Day is a time for all Australians to remember andrespect our diverse cultural backgrounds and to share what wehave in common.